Field technicians, SCADA personnel and managers across all oil and gas industry sectors can now more easily generate, manage and interpret flow data with a new flow computer that incorporates the functionality of a smart multivariable transmitter in the same unit. The Thermo Scientific AutoXP flow computer, the newest addition to the Thermo Scientific AutoSeries family of flow measurement instruments, is built for use in the harshest environments of downstream, midstream and upstream operations for both gas and liquid applications. 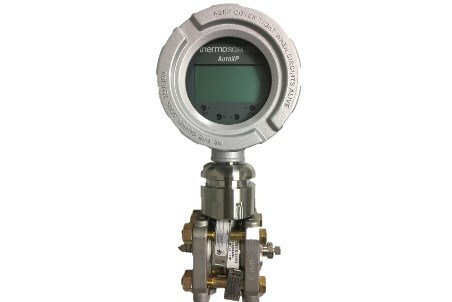 The AutoXP instrument is designed for greater reliability over previous instruments and equips operators to acquire accurate flow data from a variety of primary devices. Additionally, users can transfer primary variables such as differential pressure, static pressure and temperature data to remote devices. It can also be networked into existing systems via an onboard ethernet port. To simplify upgrading and need for maintenance, the instrument is comprised of only four main hardware components. Bluetooth connectivity, which allows users to access the instrument remotely without exposure to hazardous materials. Infrared sensors, which allow for menu operation without removal of the end cap to maintain safe operation. Compatibility with the Thermo Scientific AutoCONFIG software platform, which incorporates updated standards for hydrocarbon measurement calculations. Compliance with Class I Division 1 hazardous location requirements.